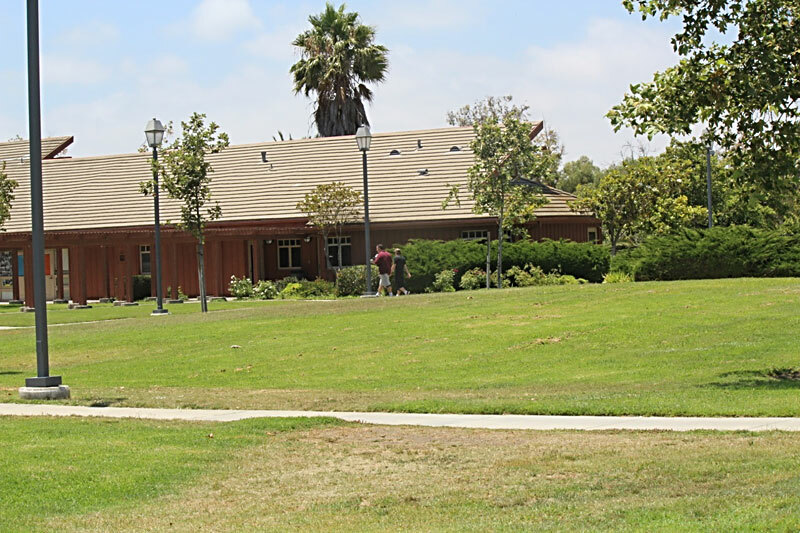 A staff member and a student walk on the grounds of the Casa Pacifica school in Camarillo, which has eliminated seclusion rooms and invested in staff training. Operating outside the restrictions of general education, special education staff are authorized by the California Education Code to declare a “behavioral emergency.” That determination allows staff members to initiate emergency interventions that are defined only by what they may not be: electric shock, denying access to bathroom facilities, noxious sprays to the face, and interventions that can be expected to cause excessive emotional trauma. In 696 behavioral emergency reports from 2011-12, the latest data available, obtained through public records requests and analyzed by EdSource Today, narratives describe intense physical and emotional battles between special education staff and students, with both sides reporting cuts, bruises and injuries. Students punch staff members, run out of classrooms or bang their heads against walls or cabinets, according to the reports, which are the most recent available. In turn, staff members may attempt to calm students through conversation but often end up physically restraining students or isolating students in rooms that they cannot leave, known as seclusion. Debate is fierce over whether restraint and seclusion practices should be allowed in special education, with some administrators, teachers and aides arguing that they cannot do their jobs without the techniques. But investigations, including a 2009 Congressional report, have documented egregious misuse of the practices nationwide, and special education advocates say that skillful use of behavior management strategies, and appropriate placements, would make restraint and seclusion unnecessary. Yet both sides agree on one point: The key to reducing the use of restraint and seclusion is to provide staff with intensive training. Teachers and aides “should be experts,” said Eric Richards, a special education teacher in the Sacramento City Unified School District. Teachers and aides “should be experts,” said Eric Richards, a special education teacher in the Sacramento City Unified School District who has been in the field for more than 15 years. Instead, the least-experienced staff often serve the most challenging students in California, according to interviews with special education teachers, administrators, advocates and parents across the state. In nearly all of the 696 incidents analyzed, instructional aides, who are typically the least-trained staff members in a classroom, were involved in restraining or secluding students. The techniques carry significant risks. “The use of restraint and seclusion can have very serious consequences, including, most tragically, death,” U.S. Secretary of Education Arne Duncan said in 2012. But finding experienced special education teachers and aides who are well trained in behavioral management can be difficult. The state has faced an acute shortage of special education teachers for decades, according to the U.S. Department of Education. And special education teachers leave the profession at nearly twice the rate of general education teachers, according to the National Coalition on Personnel Shortages in Special Education and Related Services. More than any other area of K-12 education, special education classrooms rely on relatively low-paid and often part-time staff – classroom aides, instructional assistants and entry-level counselors – to work closely with students. Instructional aide positions generally require a high school diploma and, in some cases, passing a test of basic math and writing skills, although some private special education schools require a bachelor’s degree. Training is on the job and in professional development sessions, from which aides are sometimes excluded. Starting pay can be as low as $12.50 an hour. State law does not require teachers and aides who work with extremely challenging special education students to be trained in how to de-escalate a crisis, how to prevent the need for restraint and seclusion or how to safely restrain a student –except in one category: prone restraint. In a prone restraint, which is considered the most dangerous technique used on students, two or more staff members hold a student facedown on the floor with all four of the student’s limbs immobilized. Adults who put their weight on a child during a prone restraint can block the child’s airway – a particular hazard for those with asthma. Prone restraint “should never be used” in special education because of the risk of serious injury or death, according to a 2012 resource document published by the U.S. Department of Education. That recommendation never became a policy or regulation for the department. Although the state requires prone restraint training, it does not track who receives it. That is up to districts to monitor according to their own internal procedures. In the behavioral emergency reports from across the state reviewed by EdSource Today, a prone restraint was used in 44 percent of the cases, making it the most frequently used technique. While state training requirements in restraint and seclusion practices are minimal, school districts can set their own training mandates, as can private special education schools known as “nonpublic schools,” which receive public special education funds to serve district students. “The problem with restraints is that we train people on them, and then people want to do them, always,” said Diana Browning Wright, co-founder of Positive Environments, Network of Trainers. State-funded Special Education Local Plan Areas, which are regional organizations that review special education placements, also offer trainings in crisis intervention and restraint procedures. But the regional agencies do not require that special education teachers and aides attend the trainings. Maureen O’Leary Burness, co-executive director of the Statewide Task Force on Special Education, a group formed in 2013 to study special education and recommend policy changes, characterized crisis prevention and intervention training statewide as “varied” and “inconsistently attended.” Demand for training is strong, she said, with teachers and aides eager to learn skills to help them manage students that have emotional and behavioral disabilities. Most of the trainings are run on the “train the trainer” model, where a few special education employees receive training and go back to their district to train others in what they’ve learned. But professional development budgets are often constrained, and districts are limited in how much they are able to spend to hire substitutes while teachers are being trained. Some county offices of education, including the Los Angeles County Office of Education, offer training in crisis intervention and prevention at no cost to district staff members. But outside agencies charge districts from $60 to $1,000 a day per person or more for training sessions. “Cost is absolutely a factor,” Burness said. The result is a special education system where staff are often ill-prepared to provide the behavioral help their students need, said Jeffrey Hayden, a board certified behavior analyst in Camarillo who consults with districts and private special education schools. In one case, a 12-year-old boy at the Jack Weaver School, a private special education school in Murrieta in Riverside County, was held in a series of prone restraints – for 12 minutes, three minutes, three minutes again and then for five minutes – plus a nine-minute standing restraint in an incident in October 2011, according to the behavioral emergency report. The incident began when the boy hit a counselor in the chest with his lunch pail, threw the lunch pail at a parked car, and ran to a moving mail truck in the parking lot and yelled, “Just hit me please!” The student punched one of the aides in the chest and face with full force, the report said. In another case, a student of unspecified age at TERI Learning Academy, an Oceanside private school for students with developmental disabilities, was restrained three times in a chair with her arms held across her chest in a “basket hold” in June 2012, according to the behavioral emergency report. The incident began when the girl slapped her aide. During an attempt to restrain the girl for the fourth time, the girl fell against a wall, banged her face and cut her mouth, and then kicked several aides and rammed her head against a wall. Four staff members, shielding themselves with pads, then corralled her into the “calm room,” where the 15-minute emergency ended. The girl had two black eyes, a bloody mouth and a lump on her head. Restraints, including prone restraints, are sometimes unavoidable, said Kathie Merrill, director of the Sierra School of Sonoma County, a nonpublic special education school in Santa Rosa owned by Specialized Education Services Inc., a Pennsylvania company. “You don’t do a prone unless a student is resisting in such a way that you can’t keep him safe in a lesser way,” Merrill said. All staff members at the Sierra School must be trained once every two years in a crisis intervention technique known as “Pro-ACT” – Professional Assault Crisis Training – created by the company of the same name based in Upland. “Two days of Pro-ACT is about how to avoid putting your hands on [a student], how to talk a student down, how to respond to a crisis,” Merrill said. A third day is devoted to how to perform physical restraints, including prone restraints, she said. But Diana Browning Wright, co-founder of the Los Angeles-based Positive Environments, Network of Trainers, a statewide training organization that receives funds from the California Department of Education, said some trained staff members are quick to use the new physical restraint techniques they’ve learned. Wright’s work emphasizes understanding the reasons behind a student’s behavior, building a positive relationship with the student and using specifically targeted strategies, such as giving individual attention or offering a snack break. Done correctly by trained staff, these methods can make restraint and seclusion extremely rare events, Wright said. While student behavior can be very challenging, the key to improving it lies in how educators respond, she said. “It’s about the staff,” Wright said. In the Twin Rivers Unified School District north of Sacramento, special education aide Martha Penry said her training hasn’t given her the techniques to be effective. “The training I receive for behavior management is to try to redirect their behavior and it doesn’t work – I’ll be frank with you,” she said. Injuries are common for both staff members and students, according to some special education staff. “If you talk to a human resources director, the most common reason special education teachers go out on workman’s compensation is from some kind of injury they got from a student,” said Burness of the Statewide Task Force on Special Education. Behavior management becomes even more complex when students who have severe behavior issues are placed in classrooms with students who have mild to moderate disabilities. Such placements are an effort to provide the least restrictive educational setting for students, as required by federal disability law. But in some cases, students are placed for months in classrooms where teachers haven’t been trained to address their disabilities, said Pam Makovkin, a special education teacher who for eight years has taught mildly to moderately disabled students in public elementary schools in the Bay Area. Students who are interested in what they’re learning are likely to stay on task, she said, so using creative teaching approaches is her starting point. “I’m trying to engage their intelligence all the time,” she said. Eventually, the boy was moved to a more therapeutic setting, she said. Reducing the use of restraint and seclusion requires both training and a culture change, said Darlene Garcia, principal of Casa Pacifica Centers for Children and Families, which operates a private special education school in Camarillo. Some staff members objected a few years ago when the school turned the seclusion room into a “multi-sensory de-escalation room” where students can climb on gym structures to calm themselves down. Some teachers felt they couldn’t manage the students without the seclusion room, she said. “We stuck by the decision,” and some teachers quit, she said. Rather than crisis intervention training, many behavioral experts and educators say schools would be better off investing in a prevention strategy known as Schoolwide Positive Behavioral Interventions and Supports, a framework that outlines tiers of interventions and uses a database to track behavioral improvement. Widespread agreement exists among behavioral experts and school administrators that the framework is the most effective way to keep restraint and seclusion incidents to a minimum, according to the American Association of School Administrators, a Virginia-based national professional organization. “However, this system can be expensive to implement,” because it requires school-wide trainings, consultations with behavioral experts and behavior data tracking systems, wrote Sasha Pudelski, assistant director of policy and advocacy at the administrators association, in a 2013 article for her organization. In the Mt. 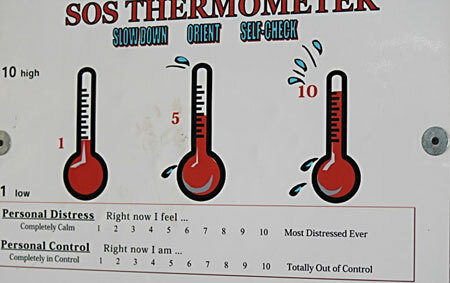 Diablo Unified School District, aides want to receive training in behavior management and crisis intervention, said Lorien Quirk, behaviorist program manager with the district. Staff that work in the district’s mental health collaborative are required to receive Pro-ACT training, she said, but aides who work with students with other severe disabilities, including autism, are not. “They need a lot more training than we’re able to give them,” she said. Aides take a four-hour Introduction to Special Education class and learn strategies from staff trained in behavior modification techniques who spend one to two hours a week in the classroom, she said. Quirk and a staff member took over, starting by sending the other students out of the room. They placed the boy in a chair and held his arms across his chest until he stopped struggling, said Quirk, who has gone through the Pro-ACT training. Afterwards, Quirk drew up a plan for rewarding the student for completing certain tasks, a strategy she hoped would help the classroom staff work productively with him. “That was a tough year for that kid,” she said. Denise Keller, a member of the leadership team of Positive Environments, Network of Trainers, sees a path to reducing restraint and seclusion, and improving academic achievement in special education. “What we can do is keep training,” she said. This story was reported as part of the California Endowment Health Journalism Fellowships, a program of USC’s Annenberg School of Journalism. I have been in a classroom with the Diana Browning Wright method for the last 5 years. It is similar to other positive reinforcement-based model except it includes an honors room and a boring room for good and bad student behavior. The honors room is not that motivating because todays cell phones are more interesting to most of the high school students. The boring room has worked with girls but not with boys. They just leave and go home. The parents are at work and can’t control the students. However it is the best behavior system we have currently. In my experience the best behavioral system is only as good as the people teaching it. A bad teacher will fail regardless of the behavioral system and the amount of training the teacher receives. Teachers who have good relationship skills are the most successful regardless of the behavior or point system they use. Behaviorists who ponder motivation and incentives and create models and behavioral systems need to explore the relationship aspect of the teacher student relationship. Many PhDs make terrible teachers because they lack inter-personal skills. Many aides with no training are terrific with students because they have well-developed social and relationship skills. I need advice on how to protect myself from out-of-control students with very violent risky behaviors. Thank you for the opportunity to write. I drive a 35 passenger school bus with up to 18 special needs 3,4 and 5 year old children, all have Autism, most also have physical issues. I am required to buckle-up each and every child appropriately, and I do this with out an aide. Now, this is no short trip, and most all the children come from a very high crime neighborhoods, with low economic households. Please consider including we brave soles who safely transport these children every day. We are faced not only with keeping them safe but also must watch out the other drivers on the road. We need training too. Again, thank you. The depiction in your first paragraph paints an image similar to that of a WWF title bout rather than choosing to describe the arduous series of interventions that often precede the decision to restrain or seclude a child. While Arne Duncan made the statement “The use of restraint and seclusion can have very serious consequences, including, most tragically, death,” the same could be said if restraint or seclusion would no longer be an option. For example, there could have been life-threatening consequences, including brain damage or death, if the staff member had not intervened in your example of the 5th grade boy banging his head on the file cabinet. I agree that more and consistent training and education in behavior management would be beneficial, however the intent to vilify the use of restraint and seclusion only invokes fear into parents and additional pressure on the special education staff members who face emotional and sometimes physical exchanges in order to help students achieve their behavior goals. Hey, Edsource writers and editors…. Regarding making the DOE’s guidance into a law.. DOE’s guidance is illegal, unconstitutional and violates the natural rights of man. Using reasonable force to protect self others and property is an inalienable right, it is as much an inalienable right as free speech. Apparently your writers do not understand this. Perhaps a remedial class in journalism and the constitution would be in order.